Back in February, I had entered a contest from the great website, NYC Pretty, for a custom phone case. 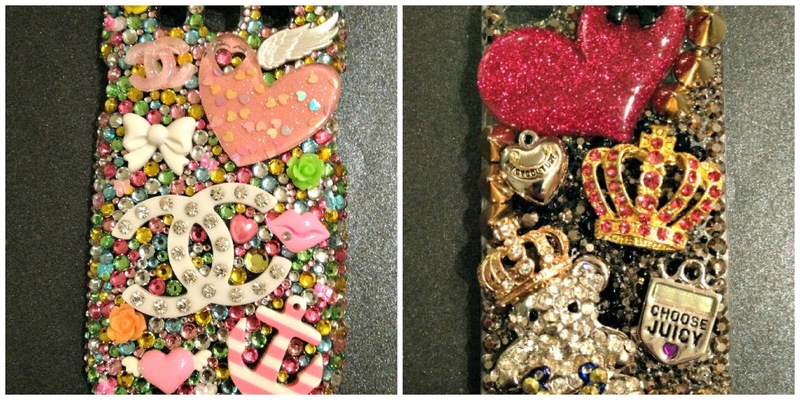 I have been having such issues with finding a cool case for my Samsung Galaxy III phone it was unreal. It seems everywhere you look, they are always for the iphone. I understand apple products are popular, but the business people are missing out on profit from us Samsung users! 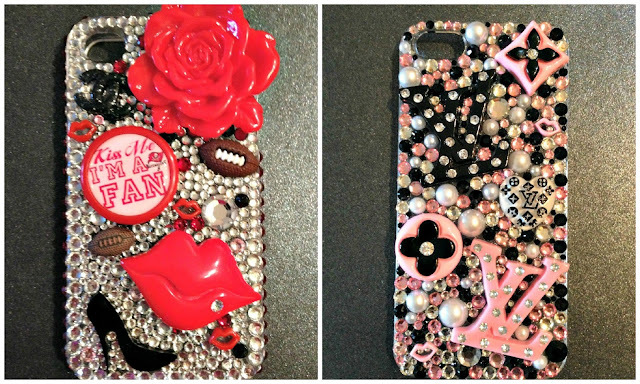 The company is RiBirth, and owned by Sherri, these are some of the cases she has made in addition to mine. Just fabulous, no ? And she makes them for many phone brands, which is a very smart move. Love these two as well, such detail on each one! She has some cases already made up that you can purchase, or you can go custom. She also works on tablets, nooks, ipads, compacts. Pretty much anything really which is oh so darn tootin' cool. This is my custom case. Coffee. Italian. NYC. Taxi Cab. Shopping. Food. I told her what my interests and likes were and had her check out the blog to see what she could come up with. The case is so gorgeous, the stones really sparkle. I like the fact that the top part has the stones on the side only, not on the top, which makes it easier to not knock any off. A HUGE Thank you again to NYC Pretty ( do check out her site, it is FAB) and RiBirth. A great way to start the spring season with a "bling" case of my very own. Yes it is GREAT and I am so thrilled to have won it. Done with very good quality. Thanx for stopping by! !